There are full-body workouts that take place in a gym, where training is essentially a solo experience and the views are bank of droning televisions. And then there are full-body workouts that take place in the great outdoors, in a team setting, where the late afternoon sun turns the landscape golden. I found the latter at Riverside Park when I joined the crew of the Norristown Dragon Boat Club for a training session. The rowers represent a wide range of ages and fitness levels. Some come for the camaraderie; some come to escape their office cubicles; some come just to sweat. I come as a first-timer with only some rudimentary kayaking skills. As it turns out, it doesn&apos;t matter. 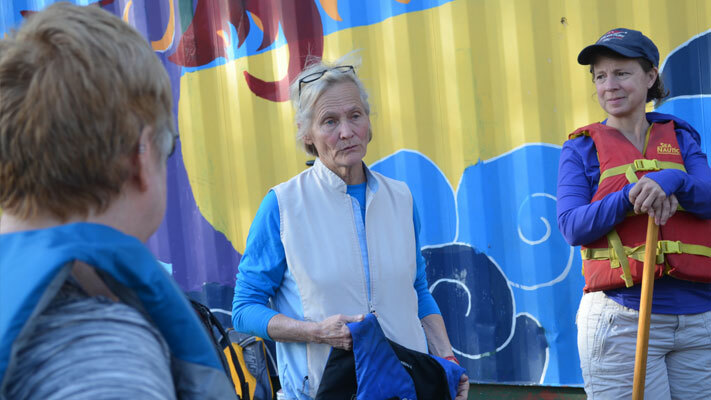 Robin Parker, Head Coach and Director, assures me that she&apos;s very much accustomed to (and welcoming of) novices and that she&apos;ll teach me everything I need to know. Her first piece of advice kicks in before I even arrive. She emails me ahead of the practice: "Wear clothing that you&apos;re okay getting wet in." Parker is well-toned, with eyes sparkle with fire. She is a lifetime native ("I live in what&apos;s now called Trooper, but back then, it was part of Norristown, too.") who got into the sport in answer to some "bad things" that have happened in her life. Kevin Brown, assistant coach, leads 22 rowers in a series of warm-up exercises. From there, we grab paddles, don life vests and board. I get seated up front, aside Joanne. I introduce myself and explain why I&apos;m there, and Joanne tells me that this is only her second outing. I take comfort in the company of another novice. "Sit up," which means let the paddle rest on the gunwales (pronounced "gunnel," it&apos;s the side of the boat) at a forward angle to keep it out of the way of the other rowers. "Attention," which means hold the paddle aloft and lean forward, in preparation of the first digging strokes that will propel the boat forward. "Go," which means begin the stroke. She also instructs us that it&apos;s crucial to keep our heads up. "Watch the rower at the very front of the boat, opposite the side you&apos;re on," she tells the team. "His or her pace will be your pace." We practice a few easy paddles. The technique is easily grasped, and before long, I&apos;m helping propel us across the Schuylkill, against the darkening silhouette of Norristown&apos;s commercial hub. Parker then introduces different strokes to control speed. Her command to "Take it away," means dig deep. This technique requires a long stretch forward with the arms, a sharp jab down into the water and a strong pull backward. This is work. The muscles in my shoulders, core, legs and thighs all begin to thrum. We circle the waterway. The sun begins to dip to the west, but the work we&apos;re doing prevents any chill. A few vagrant geese voice their displeasure as we glide by. My favorite command quickly becomes "Let it ride!" That&apos;s the signal to stop paddling and let the forward momentum take us ahead on its own, resulting in a gentle stop. Parker decides to give us a taste of a true 500-meter race. "We&apos;re going to be at this for at least two full minutes," she warns. "Keep that energy up." We forge forward. I find that the rhythm is key. If I stay properly choreographed with the other rowers, I can feel my part in pushing the water behind us. If not, my oar clacks awkwardly with the paddle of the person behind me. And I get wet. "Take it away!" We are flying now. "Take it home!" Parker barks. Paddles flashing in the dying sunlight, we speed forward again to the finish line. "Let it ride!" Parker is all smiles. The workout is over. We steer our way back to the dock at Riverside Park and begin the process of stowing the equipment. 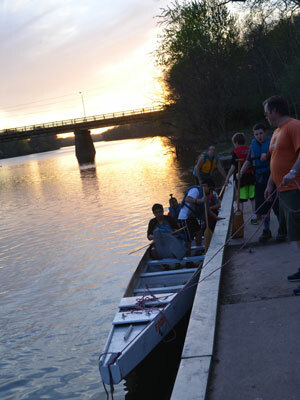 The Norristown Dragon Boat Club is open to all. No experience is needed - I clearly proved that - and practice sessions are held Sundays at 3:45 p.m. and Tuesdays/Thursdays at 6:15 p.m. 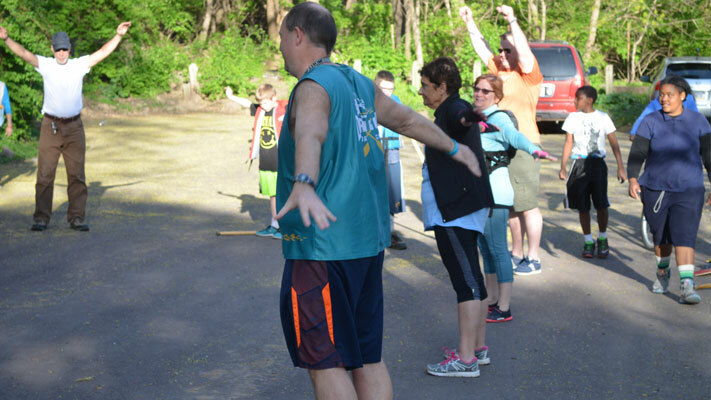 Joining the paddlers is as easy as showing up. 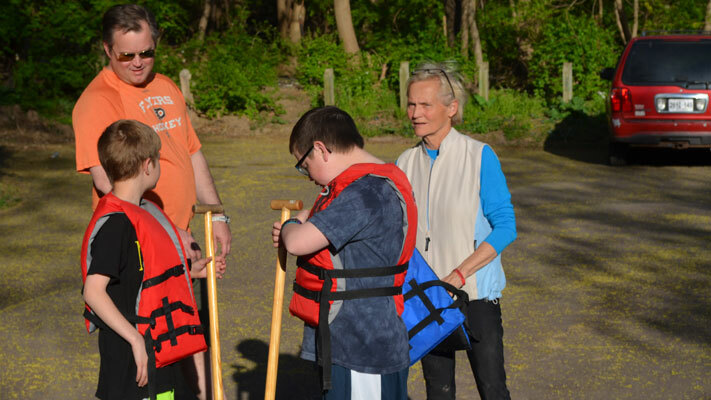 The team is preparing for Independence Dragon Boat Regatta on June 4 on the Schuylkill River in Fairmount Park. All that&apos;s required to be part of the Norristown entry is attendance at three practices prior to race day. 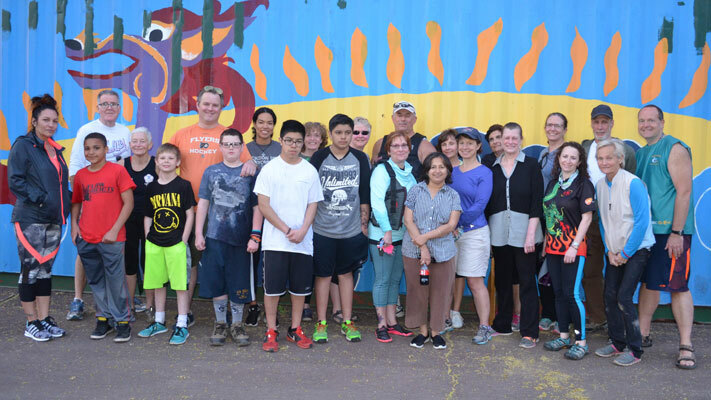 A Sunday session with the Norristown Dragon Boat Club provides a healthy workout that can make a weekend getaway in Montgomery County both healthy and memorable. For information on where to stay and other things to see and do, visit our website. And then, after you&apos;ve done all the work planning your getaway, "Let it ride!"